Over the past few years as new filming technologies have been introduced more frequently, a lot of production companies have attempted to revamp some Disney classics – usually with a twist, usually with a half hearted cast and a soundtrack by an “edgy” musician who are usually debuting there film score careers. Besides the above, the idea of seeing our childhood stories on the big screen with REAl people and REAL special effects clearly appeals to us all. After several disappointments – sorry Red Riding Hood, sorry Beastly – I think we are finally set for a good few film releases. 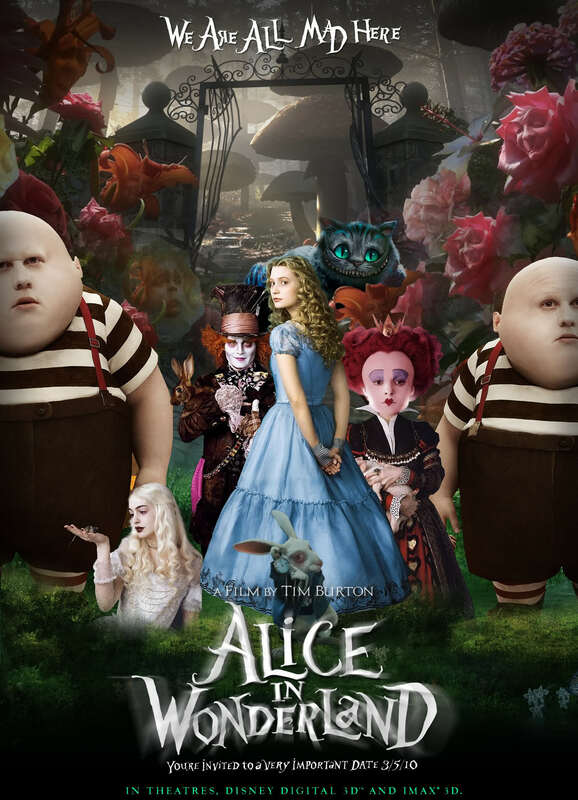 “Alice in Wonderland: Through The Looking Glass” can be expected on screens by 2016 being led of course once again by Tim Burton. The majority of the cast are set to return including Johnny Depp (Mad Hatter), Helena Bonham Carter (The Queen of Hearts), Mia Wasikowska (Alice), Matt Lucas (Tweedle Dum/Tweedle Dee) and Anne Hathaway (The White Queen). I am also utterly thrilled at the new additions to the cast; Rhys Ifans as Zanik Hightopp and the enchanting Sacha Baron Cohen playing Time. I literally cannot think of a better person to play The Mad Hatters father in such a way that SBC is bound to. Only time will tell. Ok that pun was totally unintentional. Pan (2015) is to reunite Hugh Jackman and Amanda Seyfried and who can forget their charming chemistry in Les Miserables (not me, ever.) Also joining the cast is Academy Nominee Rooney Mara, and (no show without punch) Cara Delevingne. Despite my resentment towards model turned actors I am excited for what Cara can bring to Pan, she is to play a mermaid and I do wonder if she will resonate any of Astrid Berges-Frisbys glory of playing the vulnerable and beautiful mermaid in “Pirates of the Carribean: On Stranger Tides” who was very deserving of the role and I thought gave an excellent performance. Well there it is; maybe the only role models should play is mermaids? Not a bad job eh.